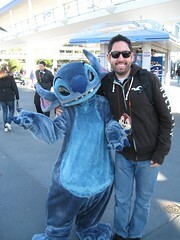 At last another edition of our 2012 New Years Celebration Trip Report to the Walt Disney World Resort! 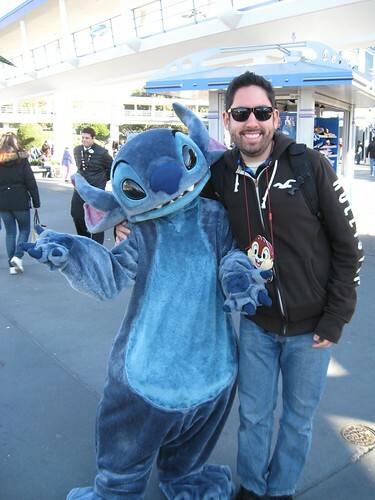 If you’re just joining us you can catch up by enjoy all the previous entries to this extensive Trip Report! As always you can find all the photos and videos used in our trip reports on Flickr and YouTube! 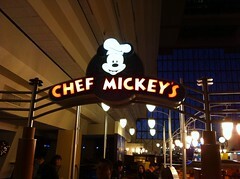 Our morning began at 6AM so we could make our 7:15AM reservation at Chef Mickey’s in the Contemporary Resort! It was still dark outside and we were the only people waiting for the Magic Kingdom Bus. 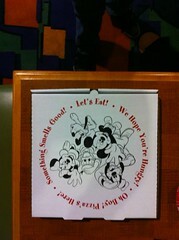 The bus driver told us he would drop us off right at the Contemporary, even though they normally wouldn’t! Some times the level of customer service you receive is beyond anything I could even ask for. Even though it’s not a terribly far walk from the Magic Kingdom to the Contemporary just the fact that he dropped us off when he didn’t have to was above and beyond! We were among the first people here! 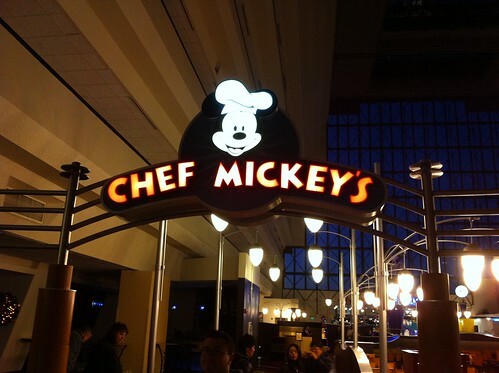 We arrived at the Contemporary ahead of schedule, all thanks to our amazing bus driver, and were waiting for Chef Mickey’s to open. There were a few younger families there with us while we waited. 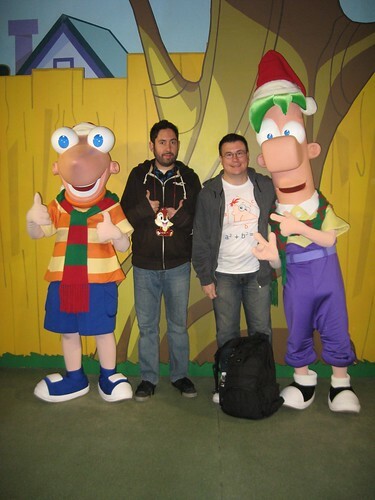 When they called our names they took us and took our photo before we were seated (We bought the photo later on)! Our seats were near the back but we noticed we were by the doors into the back, so figured we’d be among the first people to see Mickey and his friends! 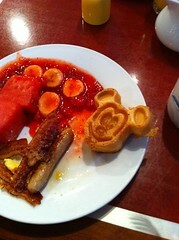 After a few minutes of settling in we headed over to the breakfast buffet. If you could imagine everything you can prepare for breakfast and then some, that’s exactly what was available to devour. My first (yes first) plate was full of bacon, eggs, sausage, fruit, bananas and strawberry mix, and no Disney breakfast is complete with the infamous Mickey Waffle. 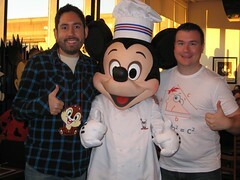 While we were eating Mickey and his friends began coming out one by one. 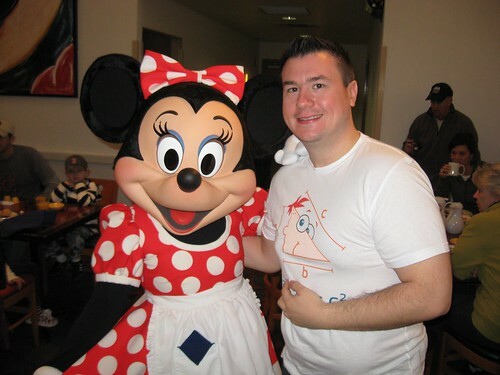 We got to meet Mickey, Minnie, Donald, Daisy, Pluto, and Goofy! I think Donald remembered me from New Years Eve because he really did not like my Chip lanyard that I was wearing again. During breakfast they even had a little song and dance that got everyone up and out of their seats. I opted to take a video instead. Normally dessert for breakfast is taboo but there’s no resisting the sprinkle covered brownies that you could smell from our table. You’re on vacation right? No one gains weight on vacation! After our delicious meal with Mickey and friends we still had some time before the Magic Kingdom opened for the day. Decided to check out all the gift shops at the Contemporary and see if we can find some Vinylmations that we haven’t found yet (Star Wars set). 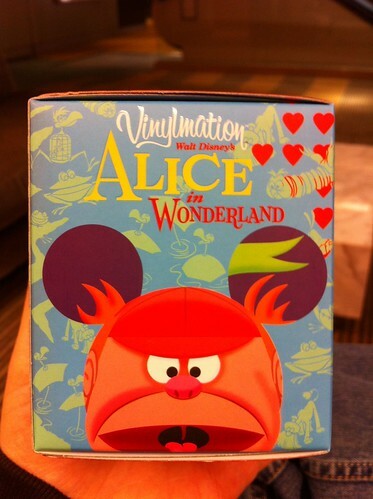 Sadly we did not find the Star Wars Vinlymation set but we did stumble across the Alice in Wonderland set. By this point in the trip we haven’t seem them anywhere and I of course wanted some. 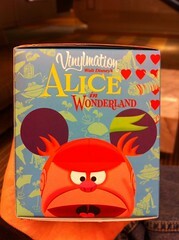 I resisted in buying the entire box (those that collect Vinylmation can relate) and only got four boxes. I lucked out and only got ONE duplicate this time around. 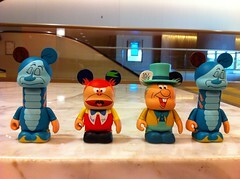 The caterpillar was the duplicate (if anyone is willing to trade leave me a comment! I’m dying to get any of the Star Wars Vinylmation). While I was unboxing them in the lobby of the Contemporary a woman watched me open them and laughed saying “I really love watching men play with their toys, it’s adorable”. It was 8AM and I’ve already made someone smile, I knew it was going to be a great day! Once our food was settled we took the Monorail to the Magic Kingdom for the morning. Space Mountain only had a standby of 15mins so we figured we’d jump into that line, when we were done we grabbed a Fast Pass for later in the morning! While walking to Fantasyland we noticed Alice and friends were taking photos in front of the Mad Tea Party. Figured we hop in line and get a photo! By the time we got up to the front the Queen and Rabbit had to leave for tea, but we got to see Alice! We got to talk to her for a little while. She gave me pointers on how to play cricket and told me to make sure I don’t use flamingos! 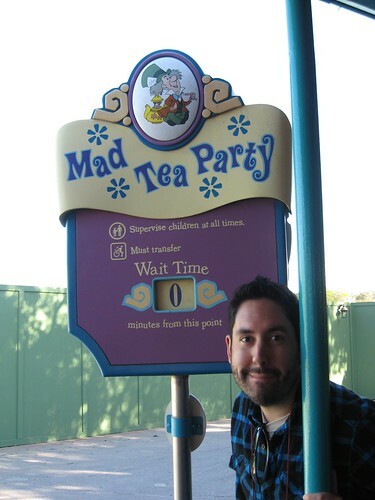 She asked us what we were going to be doing right after our visit and we told her we were going to go ride the Mad Tea Party for the first time! She then gave me advice to avoid becoming sick. Told me to focus on an object inside the tea cup and you won’t become dizzy! She said it works every time. 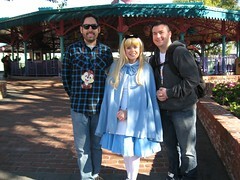 After our visit with Alice it was time to ride the Tea Cups for the first time! Alice was right, focusing on something inside the tea cup works, I wasn’t dizzy and didn’t end up losing my breakfast! The lowest wait time we'd see all trip! As we were walking through Fantasyland we noticed that Dumbo was already closed for the new expansion. 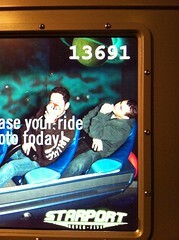 Thankfully we rode it one last time a few days ago. We wanted to ride Snow White’s Scary Adventure before it was shut down for the expansion as well. It’s a little sad seeing these classics go away but that’s progress! Before leaving for the Animal Kingdom we visited the Haunted Mansion just so we could walk through the new queue and we almost forgot about our Fast Pass for Space Mountain so we quickly made our way over there. We took the monorail to Contemporary and grabbed the next bus to the Animal Kingdom. 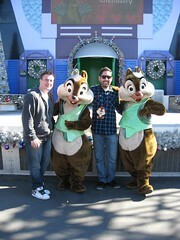 Ran into Chip 'N Dale before leaving! Once we arrived the standby for Expedition Everest was only 30mins and the Fast Passes were gone for the day. For my favourite ride at Disney I’m willing to wait the 30mins. After escaping the Yeti it was time for lunch! We decided on the Restaurantosaurus in DinoLand U.S.A. While waiting for our food one Cast Member said it was her birthday and all she wanted was for everyone to sing her happy birthday! Everyone that was waiting in line for food began singing her happy birthday! Next up was Dinosaur and Primeval Whirl. It was my first time on Primeval Whirl and it was alright, not something I’d want to do again. After that it was off to Kilimanjaro Safari. 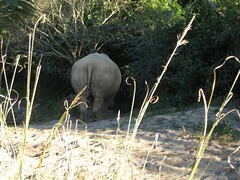 The two week safari took us a bit longer than expected due to Rhinos walking down the path we were driving. 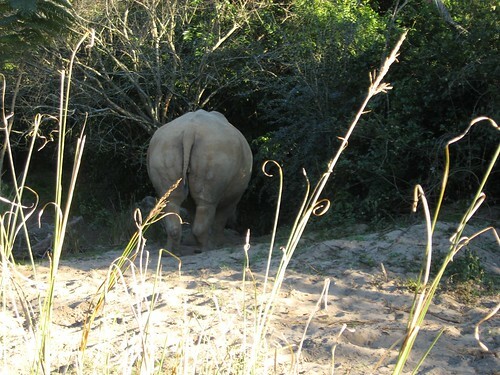 Had two different Rhinos walk down the road causing us to have to wait. 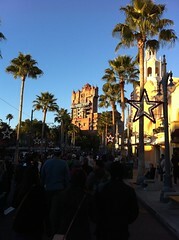 Next up is Disney's Hollywood Studios! 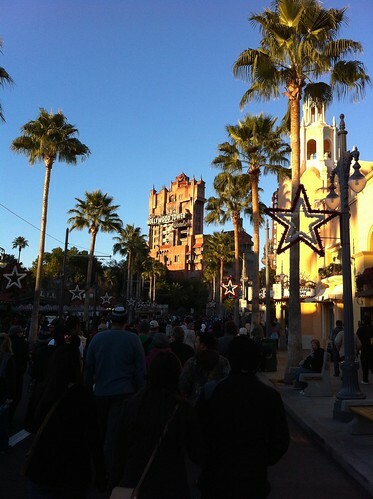 Once we finally got back to our home base, it was time to head on over to Disney’s Hollywood Studios. We knew when we got there that the Fast Passes would be gone for everything, but we just wanted to see the Osborne Family Spectacle of Dancing Lights! 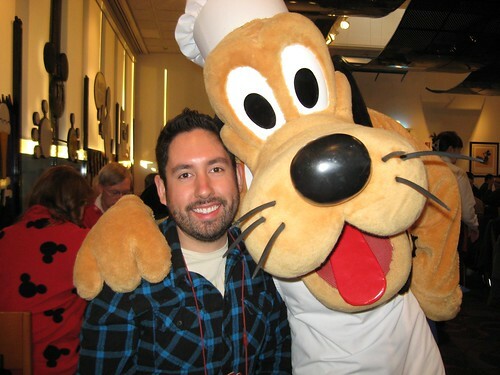 Also while I do love Toy Story Mania, I’m not willing to wait two hours for it. Before the Osborne show we saw Phineas and Ferb and decided to get our photos taken with them! We waited for the lights to come on and that was quite the site! I’ve never seen so many lights dance and sing in my life! It was something to be seen. 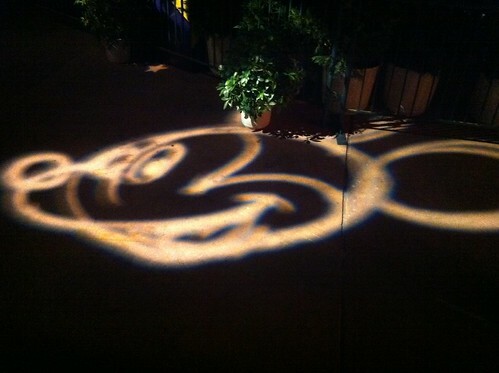 We also spent some time looking for the Hidden Mickey’s in the lights and did manage to find quite a few. Also with true disney style they made it snow while the light show was on! We walked around the lights for a while and took more photos and some video as well. 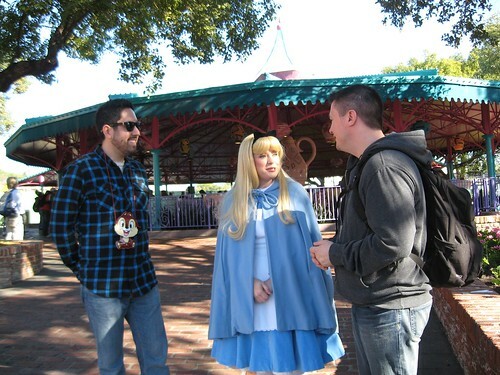 We then met up with our friend Chris and his friend Becky, who are cast members, and hung out with them for a while! 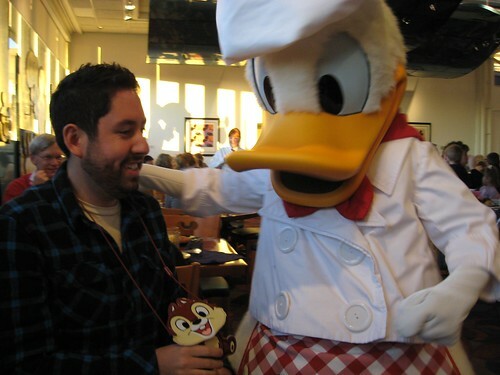 We were a bit bummed that the Fast Passes for Toy Story Mania were gone, then Chris told us that he had a Guest Pass that allows him to use the Fast Pass line! That really made our night even better than it already was! 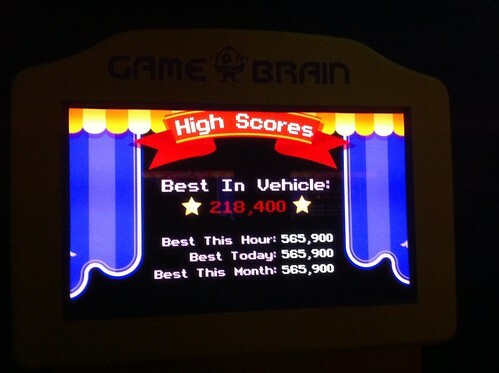 Of course I ended up with the highest score out of everyone! 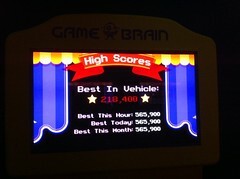 My score was the best in vehicle! After our visit with Buzz and Woody we headed over to the Great Movie Ride to end the night. 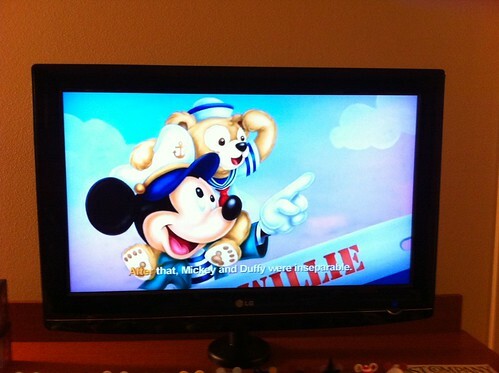 Now it was off to our resort to get some shut eye! Before bed we were starving and decided to get pizza before bed. Normally I never eat before bed but I was pretty hungry. 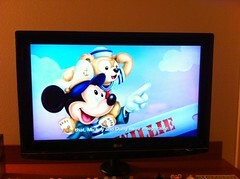 Before bed we listened to Duffy’s Bedtime Stories on TV. We wanted to be rested for our long day that awaits us! We will be going on the Backstage Magic Tour all day! This is our first time doing a tour like this so it’s going to be very exciting! All the photos from today can be found on Flickr! I enjoy reading your comments and answering any questions anyone may have. Hope you all enjoyed this edition of our 2012 New Years Celebration Trip Report!